Kotoisuva, 30, and Tokaitavuki, 28, allegedly obtained fines from shop owners in Nadera for selling cigarette rolls. 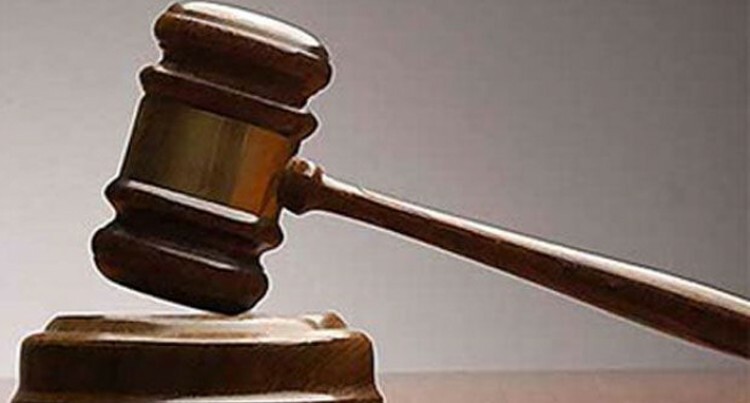 Two men who allegedly im­personated a Special Police Constable were denied bail in the Nasinu Magistrates Court on Tuesday. Temo Kotoisuva, 30, and Seci Tokaitavuki, 28, appeared before Magistrate Sufia Hamza charged with three counts of impersona­tion. They were represented by the Le­gal Aid Commission. On the first count on June 8, 2018 with intent to defraud Loo they are alleged to have falsely represented themselves as Special Police Con­stables and obtained $110 as a fine for selling cigarette rolls. For the second count on June 8, 2018 they allegedly falsely repre­sented themselves as Police offic­ers and obtained $250 from Yijui Hu as a fine for selling cigarette rolls. On the third count they again falsely represented themselves to Yee Young Han and obtained $200 as a fine for selling cigarette rolls. All the alleged incidents hap­pened in shops around Nadera. Police prosecutor Constable Se­tareki Mocevakaca served full phase disclosures in court and ob­jected to bail on the grounds that they had impersonated a Police officer. Magistrate Hamza remanded Kotoisuva and Tokaitavuki in cus­tody and adjourned their case to June 26, 2018 for mention. Meanwhile, Tokaitavuki also ap­peared for a separate charge of theft. On June 7, 2018 he is alleged to have dishonestly appropriated and stole a black Nike bag con­taining Police uniform valued at $75, the property of the Fiji Police Force with intent to permanently deprive the owner. Tokaitavuki also received full phase disclosures for the case. His case will be called again on June 26, 2018.